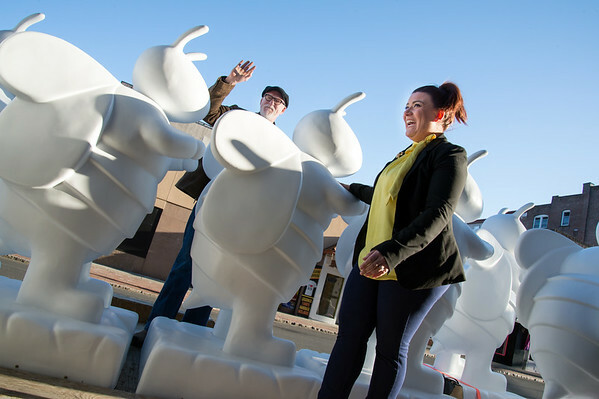 NEW BRITAIN – Mayor Erin Stewart, members of the Greater New Britain Arts Alliance, sponsors and artists took part in an event that welcomed the long-awaited 25 six-foot-tall fiberglass Bees to the city on Tuesday at the Mutual Housing Association. As Stewart welcomed the Bees, she thanked the sponsors and many others who collaborated for the project to become a reality. 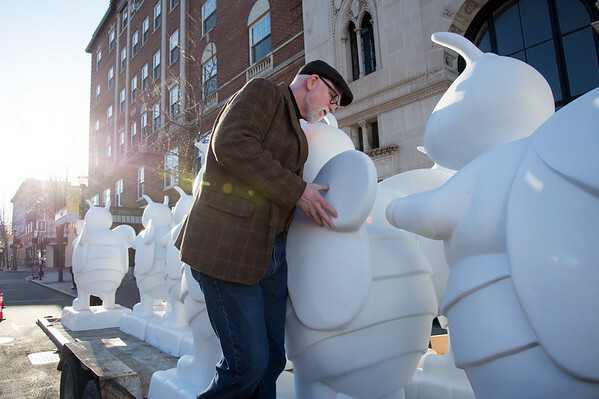 Beginning on May 6, the Bees will be placed at Central Park and during the summer they will be displayed at the sponsor locations. 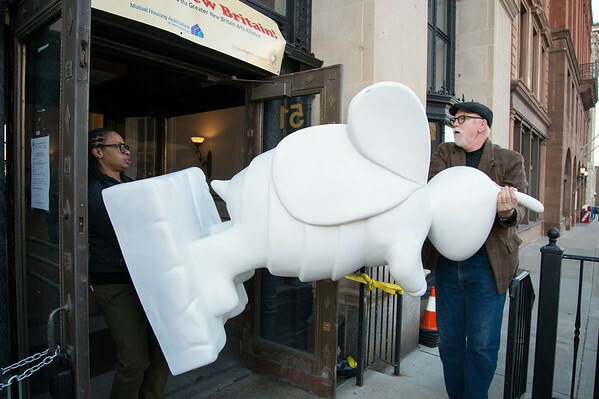 Among the Bees that will be painted, there will be a “Patriotic Bee,” which will be painted by Deanna LaVoie and sponsored by Tomasso Brothers. Jennifer Atkins will be painting a Bee for Hospital of Central Connecticut and Clinton Deckert will paint a Bee for Hospital for Special Care. 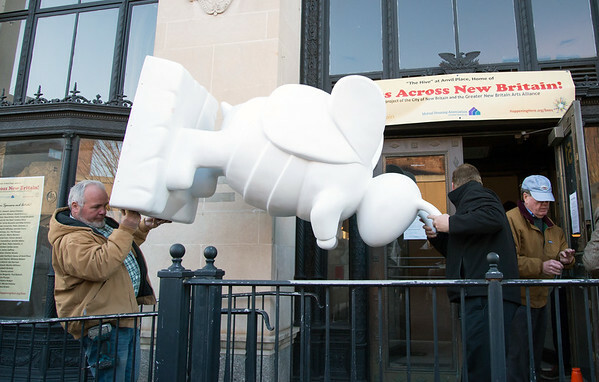 “Bee Heard” will be designed by Candice Macy for the American School for the Deaf in West Hartford. 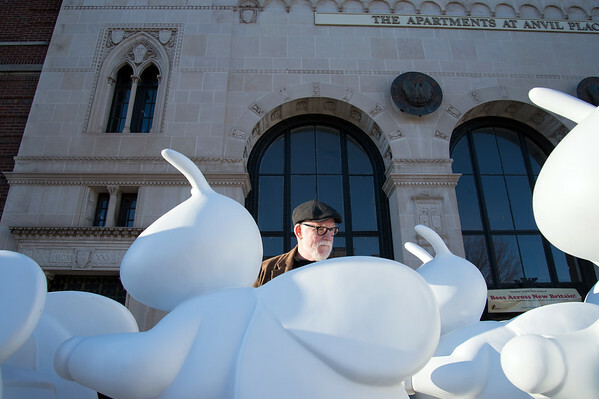 The humorous Bee for Martin Rosol Meats will be designed by James Gaffney. 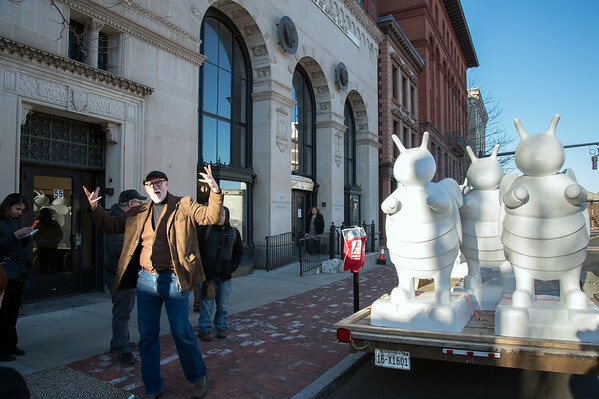 New Britain native and renowned sculptor Craig Frederick was the artist who created the original Bee maquette. “I was aiming for as cute as possible,” Frederick said as he anxiously waited for the truck to arrive with the Bees. Frederick also said that the project fits right in as the city is in a re-branding process. 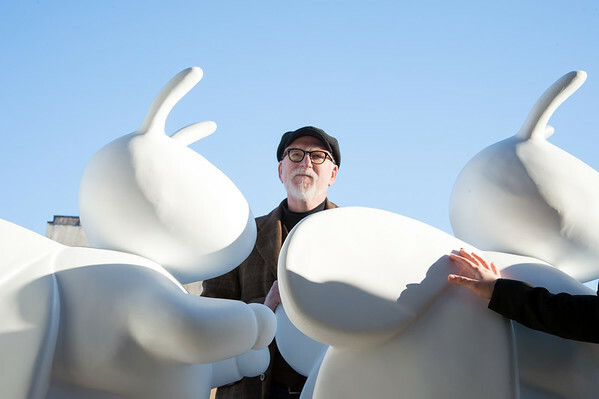 “The mayor has been doing a really good job with this rebranding,” Frederick said. Patrick Keough was the fabricator and the person who delivered the Bees from Nebraska. 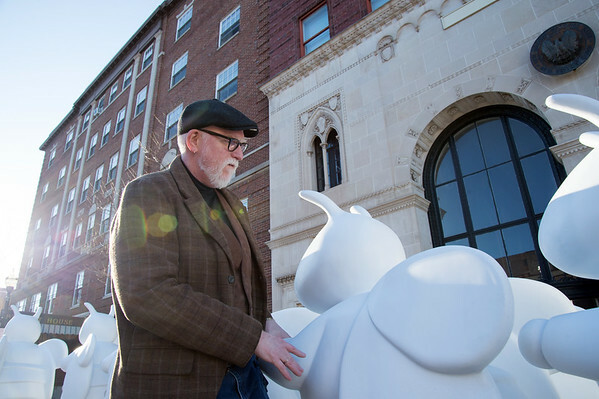 Stephen Hard, Stockman Gallery manager, said these fiber glass sculptures offer an “opportunity to give visibility to the arts in a very fun way,” as they are engaging to artists, businesses and the general community who will get to see them at Central Park and the sponsor locations. Posted in New Britain Herald, Business, New Britain on Tuesday, 26 March 2019 20:24. Updated: Tuesday, 26 March 2019 20:27.